Several prominent representatives of the audiovisual and sports sectors, including the MPA and the Premier League, are not pleased with the current Article 13 proposals. Their objections don't concern the possibility of upload filters, but with potential new liability shields for large Internet services, which they say will only gain power at the detriment of copyright holders. 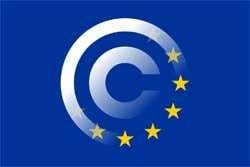 In a plenary vote in September, the European Parliament backed the controversial Article 13 proposal, which is part of EU’s copyright reform plans. The outcome was welcomed by many copyright holders, particularly in the music industry. “This vote is great news for music fans and for anyone who values exciting and original online entertainment. It’s an important step towards creating a fairer internet that encourages and rewards creativity,” BPI’s Geoff Taylor said at the time. The vote was not the end of the process though. The final text of Article 13 will be agreed upon during the “trilogue” meetings. The second of three meetings was held earlier this week. When the text is final, the EU Parliament will vote again. It is no secret that Article 13 and the potential for “upload filters” is being met with fierce resistance from activists, scholars, academics, and many members of the public. However, it turns out that not all copyright holder organizations are happy either. A coalition of major representatives from the audiovisual and sports sectors sent a letter to members of the EU Parliament, ahead of the meeting this week. They include the Motion Picture Association, the International Union of Cinemas, the Premier League, and La Liga. The groups say that they are extremely concerned with the current version of Article 13. They fear that it will do more harm than good for their industries, as it will strengthen the position of major online content sharing service providers (OCSSPs). “[U]nfortunately, the Value Gap provision has mutated in such a way that it now strengthens even further the role of OCSSPs to the direct detriment of right holders and completely undermines the status quo in terms of the EU liability regime,” the letter reads. The organizations warn that large Internet services will only gain more power. Article 13 will create a new safe harbor for some online services that take measures to prevent infringement, which undermines current law and weakens the position of copyright holders. The letter points out that EU case law already makes it clear that online services themselves can communicate to the public and be held liable for infringing activity. They feel that the new proposal could undermine this. Their solution would be to draft Article 13 in such a way that existing jurisprudence of the European Court of Justice is not at risk. Alternatively, Article 13 could be framed in a way that the film industry and sports leagues are not affected. For example, by limiting it to music only, which is the sector that’s believed to be benefitting from it the most. “If, on the contrary, any new safe harbour/’mitigation of liability’ would be part of a final trilogue agreement, we would respectfully urge you to disapply the entire value gap provision to our respective sectors,” the letter reads. Pirate Party MEP Julia Reda, who shared the document in public, notes that since even major rightsholders are unhappy, something must clearly change. “It can no longer reasonably be denied: Article 13 was misguided from the start. Rather than solving a specific, well-identified problem with a well-assessed solution, lawmakers attempted to use copyright law to rebalance power between several big industries, with no regard for the collateral damage they were causing. “Instead of resolving these concerns and converging on a reasonable middle ground, the negotiations have just muddied the waters further,” Reda adds. Upload filter opponents, including Reda, have an entirely different view on the matter than the film and sports sectors, of course. However, both sides clearly want Article 13 to change. The Pirate Party MEP naturally has a different solution as well. If the main goal of the music industry is to get more money from companies such as YouTube, this problem should be tackled more directly, she argues. By finding a way to ensure that collective licenses are in place, for example, without upload filters. And by legalizing modern remix and fan culture at the same time. “But if we can’t even agree that that’s what we’re trying to achieve here – that leaves only one way forward: Let’s drop Article 13 altogether and send the directive back to the drawing board,” Reda concludes. A copy of the letter sent by representatives of the audio-visual and sports sectors is available here (pdf).